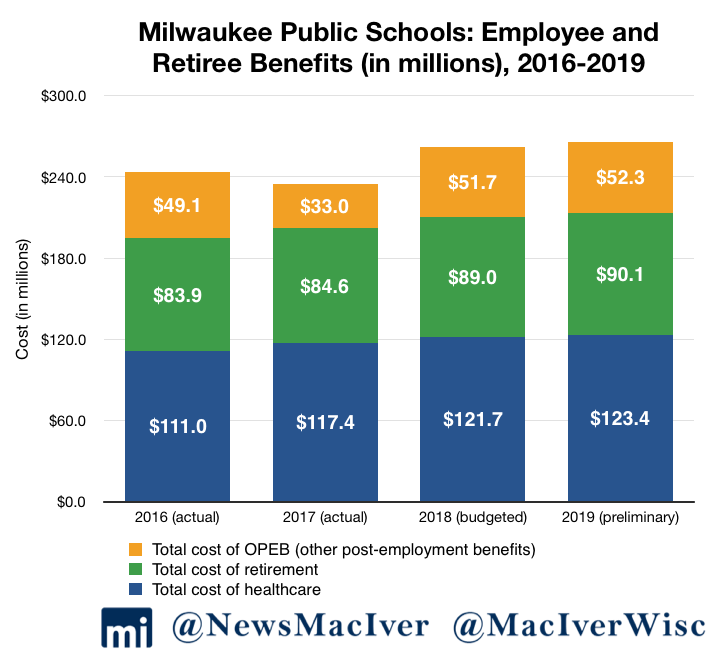 By failing to address cost-drivers including MPS’ massive benefits package, declining enrollment, and its expansive, half-empty facilities, the school board conveniently avoided its growing budget deficit and all but ensured that this manufactured political battle will continue into the future. Spending on healthcare for retirees, which makes up much of the “other post-employment benefits” line item, has increased by almost 7 percent since 2016, adding up to $52.3 million in 2019. 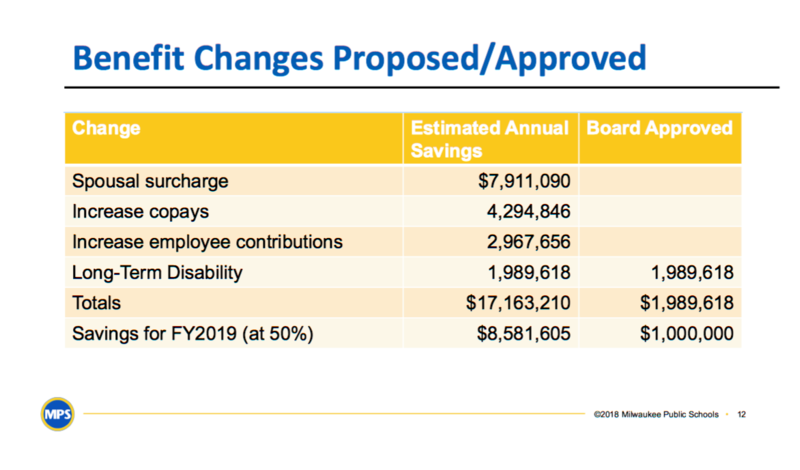 As for the 2019 budget, it will be finalized in the fall when final enrollment numbers are set. As always, stay tuned for future coverage.